They say good things come in threes. Well today The Living End fans have been rewarded with a massive triple announcement. Hot on the heels of electric new single ‘Don’t Lose It‘, the band are now ready to announce the name and release date for their new album, plus details of a national headline tour for November. 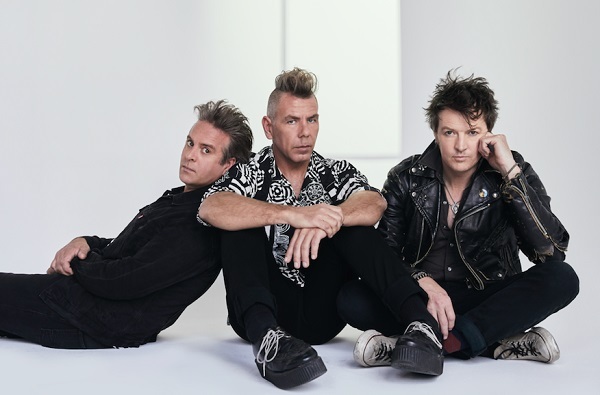 Recorded over a six week period in Berlin during an inspired recording session with producer Tobias Kuhn, The Living End‘s eighth studio album Wunderbar will see a worldwide release through BMG on September 28. The album will be available to buy on vinyl, digital and CD formats. The CD version includes a bonus DVD featuring an hour-long live performance recorded in Berlin plus a documentary about the recording of the album. This will be limited to the first 10,000 copies sold worldwide and is available to pre-order now. 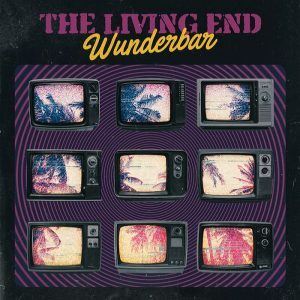 Wunderbar came together faster than any other The Living End album before and is one of the most raw, conscious, and politically vital records of their career. 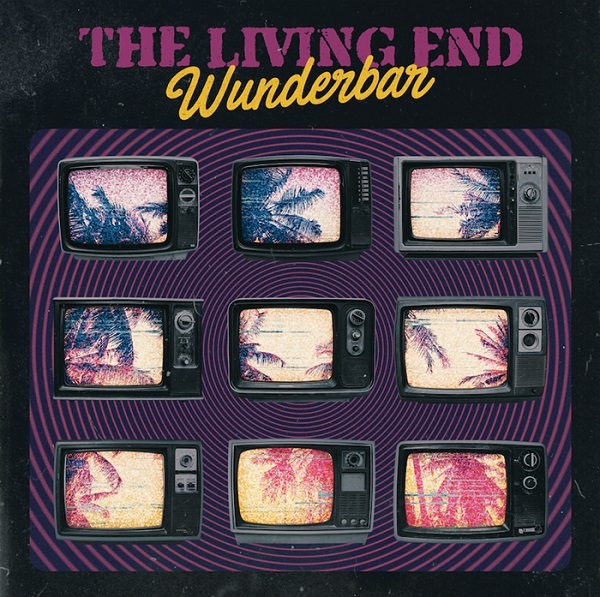 Sound wise – Wunderbar isn’t a foray into electronic music or soft rock crooning. It’s what The Living End are known for. It’s what they’re good at. It’s what they love. Frontman Chris Cheney explains further..
Come November, The Living End will take this mantra direct to theatres across the country. 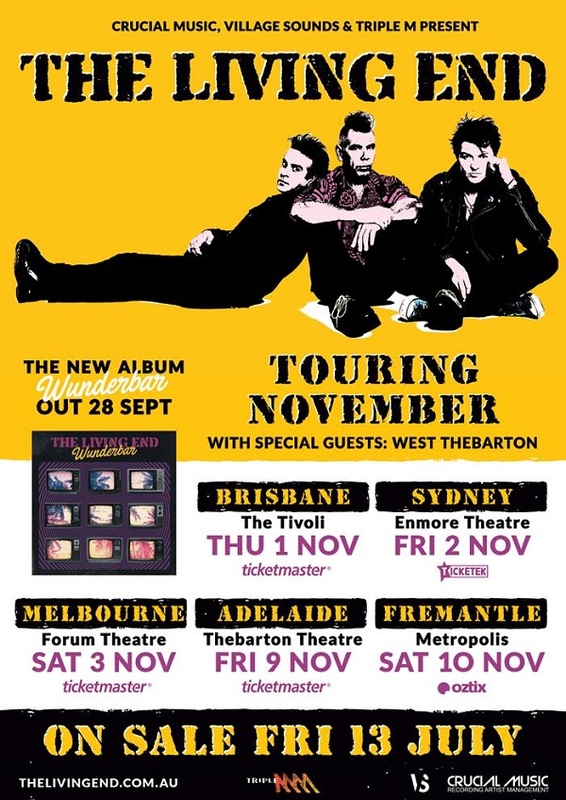 The Wunderbar Tourwill see Chris, Scott and Andy make a triumphant return to the national stage and place the boys back in their natural habitat. Along for the ride as main support on all shows is Adelaide powerhouse West Thebarton. Armed with songs from their critically acclaimed debut album Different Beings Being Different – this high octane seven piece are ready to showcase why they’ve been touted one of the best live acts in the country. All tickets for the tour on sale 9am (local time) Friday 13th July, 2018.